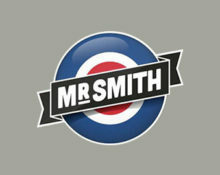 Mr. Smith Casino – Daily Boosts | Week 19! Get a daily boost with Free Spins, Cashback, Tournaments and Bonuses! 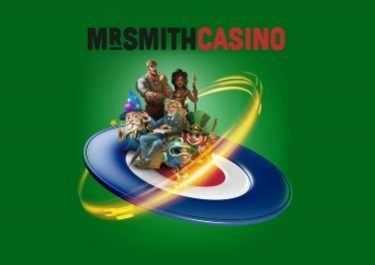 The “Daily Boosts” campaign at Mr. Smith Casino is heading into a new week with more superb balance boosters, some even in pure cash. Log-in daily to devour Free Spins on deposit or as wager reward, take part in races to score the highest coin win on selected slots and win great cash prizes or sit down at the Live tables for a generous cashback. Start your gaming week with a wager reward when playing Steam Tower from Netent. Monday, 7th May 2018: Free Spins Wowsa– Make a deposit of minimum £20 and wager a total of £50 | £100 on Steam Tower to instantly receive 25 | 50 Free Spins at £0.20 each, on the same game. Total reward is 75 Free Spins per player. WR is 35x FS winnings within seven days. Tuesday, 8th May 2018: Tournament Tuesday – Score the highest coin win on a single spin with a £0.50 cash bet on Ozwin’s Jackpot to place in the TOP3. An in-game leader board is updated in real time. Cash prizes are credited after the tournament: 1st – £200 | 2nd – £150 | 3rd – £100. Wednesday, 9th May April 2018: Wicked Wednesday – Deposit minimum £20 to receive a 25% deposit bonus, up to £100. Wagering requirement is 35x bonus within seven days. Thursday, 10th May 2018: Throwback Thursday – Wager minimum £50 on Fairytale Legends: Red Riding Hood™ to instantly receive £15 bonus Free Spins on the same game. WR is 35x bonus amonunt within seven days. Friday, 11th May 2018: Evening Cash Race – Play actively with minimum £0.50 cash bets on Easter Island between 18:00 – 23:59 GMT and score the highest coin win in a single spin to place on the in-game leader board and win cash prizes of up to £100, credited with no wagering requirement after the tournament has ended. Saturday, 12th May 2018: Saturday Cashback – Make a deposit of minimum £20 and play on any Live Blackjack or Live Roulette table between 12:00 – 23:59 GMT to be eligible for a 15% cashback, up to £150, credited in cash by 18:00 GMT on Monday. Sunday, 13th May 2018: Live Casino Cash Drop – Make a deposit of minimum £20 and play on any Live Blackjack or Live Roulette table and you could win a random cash reward between £5 – £100, credited with no wagering requirements by 18:00 GMT on Monday. Betsafe – Daily Casino Boosts | Week 5! 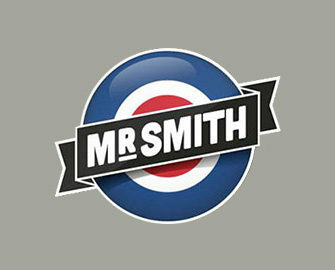 Mr. Smith Casino – Daily Boosts | Week 20!